Do I Need A Website or Is My Facebook Page Enough? Since the Facebook revolution many business owners we are finding have embraced the Facebook world leaving their websites to fall by the wayside. So, it seems like daily I am having the conversation in response to the question, “I have a Facebook page, do I really need a website?” The answer is short and sweet: yes, and let me explain why. 81% of shoppers conduct online searches prior to purchasing. This means no matter how amazing you do on your Facebook page when it comes down to that final purchase. If they can’t find you when they search they are not going to purchase from you. Your website, unlike Facebook, is the one place online that is yours and yours alone. You can customize it however you want to promote your business. This is your place to tell your customers who you are, what you offer and most importantly why they should come to you. You should view your website as your businesses window to the world. The days of customers window shopping is far from over; it has just transformed into a different type of window-your website. Twitter, Instagram, Facebook, YouTube…I could go on and on. Each social media network reaches a very different demographic of user. So how does a business owner reach everyone? The answer is your website. Social media networks are very influential in branding and getting that name recognition out there, but at the end of the day your customers are going to do their research before even visiting your business. They are going to search you and your competitors to gain the information they need to make an informed decision. Business credibility is very much linked to having a website, both with consumers and with other businesses. Many banks even ask for it when you are looking for loans. Like I mentioned above your website is your space! This is a space where you can educate your customers on what you have. It is important to make your website relevant and a place where people will come back to to see what is new, what is going on, or what your specials are. This allows you to educate your customers that you are an expert in your field and that is why they should trust you and come to you. Your website is the only place on the web that you will be able to have this type of freedom to educate your customers. Digital marketing can be very overwhelming trying to get your branding out to multiple avenues and send a consistent message, but your website provides you with a consistent tool that you can share with the world. Including a simple blog on your site is a huge advantage. You simply go to your website, post your updates, and then share away on all your networks. Now not only did this allow you to send out a consistent message, but you are also getting users of the social media networks to visit your website. This way you have designed to pull them in and see what you have to offer. If you didn’t have that website then they would only be seeing the one thing you share with them. So in summation I want to share with you one of my favorite analogies on the importance of websites. 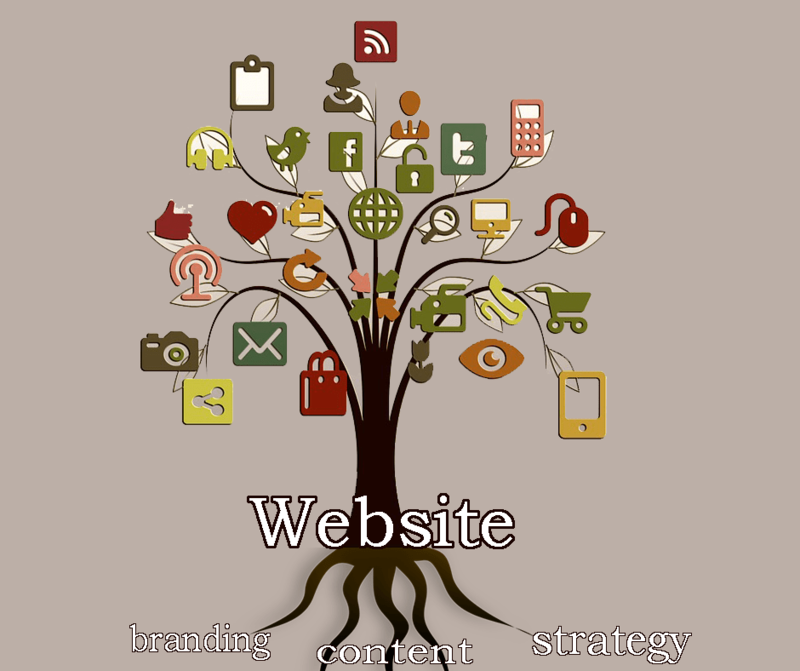 Think of your digital marketing as a tree and your website is the roots. No matter how much time you spend watering the branches or money you spend on fertilizer without good solid roots you are simply growing the grass around you.